Your Conversations into New Paying Clients! Yes to Signing Up for Your Programs! It is so important to remember you are being called on to give your services to the world, and you need an abundant income to do so. So many people who I speak to feel this inner calling…this drive…to blaze their own trails, to shine their light and help reshape our world. Because of the economic crisis we were in a few years back, my income went way down to 50% in a few months! Downright terrifying! Plus, most of my retirement income was gone when I lost a property in that real estate crash. I just knew I couldn’t give in to all that terror and fear, even though that is what I felt. When you’re in fear, you can’t really connect and serve your ideal clients. I had to change this fast or go down even more financially. Believe me, I know what Money Anxiety Disorder (MAD) feels like and it does make you real mad. Yes, it’s been so prevalent, that there is now a disorder named for it. I knew I wasn’t the only one spinning my wheels because nothing seems to be working to bring in the needed income the way it did before. Many therapists, healers and holistic providers I spoke to were going through the very same thing. That didn’t actually help me feel any better. I just didn’t feel so alone in the muck. It got so down right frightening to see whatever savings I had being drained out of my account because I needed to live on that money! Forget retirement! So that’s when I do what I do best when things aren’t working for me. I went inside and released all those emotions, beliefs, fears, old behavior patterns, anything in my way of knowing I will bring in more money and live well. I did the inner work – but I still had to learn new business strategies and tools! Fortunately, I had a great coach. I learned how to put what I do into a system so it is easy to explain to potential clients who are interested in my work. What was most significant for me was learning how to speak to these potential clients so they would feel inspired to sign up for my services. It’s all about establishing rapport so people feel heard, validated and understood. Learning a new way to do things is so much harder for someone who has been in business over 35 years and who is a grandmother of 60+ years old! In other words, if I can do, it, so can you! I was really struggling with sales conversion and talking to people even though I’m great at what I do. I started working with a coach and she really helped me. I was able to have success with the people I spoke to and I really became a master at sales conversations. I became so good at it, that my coach eventually asked me to be on her team as a coach on her sales team. to share this formula with you! I want to tell you all about my program, but first I want to tell you a recent experience I had working with an amazing group of holistic practitioners. They were amazing, yet they weren’t making enough money to even pay their bills (unfortunately, it’s pretty common and we’ve all been there and you may be there right now). What do I tell them if they can’t afford to pay my fees? What if they pay for my services, and they can’t pay their bills? What happens if I don’t know enough? What if they’re not happy with my services? What if there aren’t many people where I live who want my services? What if I don’t really know how to do all that techie stuff online? What do I do if I don’t want to do all that techie stuff? These conscious and unconscious issues sabotage those very important conversations you have with people. If you feel like any of the above statements are true, guess what happens? You probably give away your services for practically nothing and you can’t make a decent living. Then you feel frustrated, drained and poor! Your inspiration goes out the window. And you may even consider getting a job. 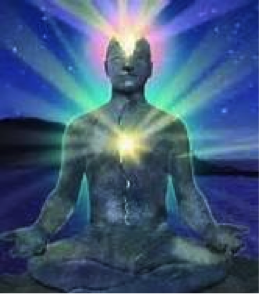 One of my gifts is being trained as a shamanic healer with over 45 healing modalities. I’ve spent tons of hours and money learning them. I have brought together the best of the best proven methods to transform lower level energies, thoughts, behaviors, beliefs, negative repetitive patterns, from this life and past lives that prevent people being successful. We will do the necessary healing work so you feel confident recognizing your true value and do the inner work, so you are confident charging what your services are worth to your potential clients. and tons of gifts to share. The secret is using heart-centered conversations with your connection to Spirit for your potential client’s highest good. You raise your rates in increments, a little at a time, in a way that feels comfortable to you. …you don’t have to worry about paying your bills each month because you know how much is coming in and it is more than enough! ..you even know what to do to bring in money when you’re sleeping, and that is already in progress! ..you have some new joint venture partners and it feels so wonderful to collaborate and make more money doing it! This and more can be yours when you implement the simple system in my program. It worked for me and countless other entrepreneurs and I know it can work for you too. 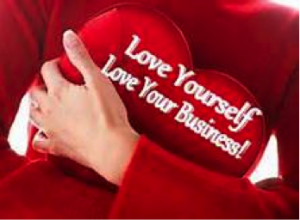 Here is the 90-Minute Training Call for you to listen to “Why Heart-Centered Entrepreneurs Have Problems Selling Clients their Services, Programs and Products & Exactly What to Do Instead!”. Sales, Systems & Success Guides You through the Most Crucial Steps to Grow Your Heart-Centered Business into a Profitable One. And Our 5 LIVE Modules Can Have You Earning More as You Go! We begin with a business assessment so we know where you are starting from in each of the modules we will cover. Then it is easier to ascertain what materials will be helpful to you. We cover the basic foundation that this program is based upon. You will experience a group activation to easily connect to spirit, your Inner Guides and your Intuition and to enable you to easily, comfortably and confidently learn new business methods to increase revenue. This creates the energetic foundation for magnetizing your vibrationally matched clients in the following sessions. We use processes and templates to help you identify your system of healing, health services, relationship coaching, psychotherapy, etc. This enables your potential clients to easily understand what you have to offer. The result is that more people will want to know more about what you do. Once you have clarity about your system, it is easier to focus on who your ideal clients are. Explore the primary challenges and issues of your vibrationally matched clients so you know exactly how your solutions can be an answer to their prayers. We use a formula and templates to assist you in creating or refining your system. Once you delineated who are your vibrationally matched clients, it is easier to write copy or speak to them so they feel understood and heard. Then you can focus on putting your system into the language that easily flows as you speak to prospective clients. This creates better rapport because your potential clients feel you actually understand their needs and challenges. So naturally, they’re excited to work with you or purchase your products. Learn a powerful Heart-Centered Converting Conversation Guide formula and how to use it effectively. You will receive a template that you can easily plug your system into. You will get to practice how to use the formula. Once you are effective with the formula, you will be able to raise your conversion rates to 50%-75% when you speak to potential clients. We will cover pricing and what you need to consider when creating your pricing structure. This is important so that you don’t undercharge or overcharge for your services and feel drained by your work. You will draw in more vibrationally matched clients that feel really good when you’re working with them. We will cover having your different options for your people. Even when selling products, you want items at different price points. This allows you to appeal to a wider audience of your target market. If you have it priced right, you will make more and feel much better about what you do. You’ll be much more energized. We cover list building strategies. Since having clients sign up for your programs and products is about numbers, it is essential to have a large enough list. Consequently, it is very important to keep building that list, so you are continually bringing in new people to speak to, market to and to serve. The result is having more clients to do your wonderful work or sell products to with now and in the future. Using joint venture partnerships, sometimes called affiliates, is necessary to really increase your revenue. These strategies will increase your email and mailing list considerably. Then you have additional potential clients to speak to about your services, programs and products, which naturally creates increased revenue. Group Healing Calls twice a month for dealing with releasing any lower level energies and issues that arise as well as raising your vibrational frequency where needed. These will assist you with your emotional energy management so you can be calm, confident and excited as you learn new business tools and practices. This helps you maintain a positive energetic state of consciousness. Energy is contagious and we want you in the highest possible state when you talk to potential clients or do your special work. You will receive information, handouts and templates on all the strategies and techniques we cover in each module. Then you have them to go over on your own again and again. This cements you learning at a deeper level whatever we cover. This is what enables you to effectively use what we cover in each session. We will do coaching from the second class on so you really get the help you need in any area. The classes are interactive so you can ask questions as well. You will also practice with another participant when appropriate to become more effective at using new skills. Business Building Material and Healing Processes in a Digital Manual (Value $800) – Includes Simple Handouts, Templates, Proven Healing Processes and Exercises to assist in developing your business building abilities. Morning Meditation (Value $37) – This sets the energy for you to focus each day on what would really serves you in your business: accomplishing projects with ease and flow, magnetizing wonderful opportunities, and increasing revenue. 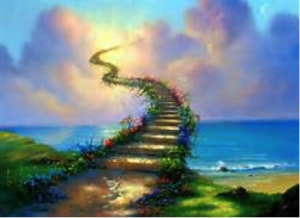 Heaven & Earth Meditation (Value $37) – We use various forms of this meditation throughout the program. Being grounded helps you communicate more effectively with your Intuition, Inner guides and Spirit. You think more clearly and feel more stable. It gives you a grounding pole into the earth, making opening to spiritual energy easier. Helaine still uses this meditation regularly. I like to reward those who are decisive and know what they want. E-Coaching with Helaine for 3 months (Value $1200) – You get personal assistance in any area you need regarding anything affecting your business. Coaching Session – A coaching session will cover a specific business challenge you are wanting extra support on for accomplishing your goals. We might cover how to apply what you learn in the program to your business for achieving your desired results. Some areas we might cover are assisting you in creating your system, finding out your next action step on a project or what project will bring in the greatest financial reward for you. 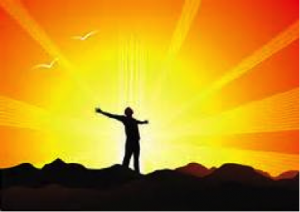 Healing Session – A healing session will cover emotional or mental challenges that you feel are holding you back from accomplishing your goals and taking action in your business. Some areas we might cover are procrastination, self-confidence, believing you deserve abundance, staying focused when working or anything causing you stress or anxiety. This program is worth 24 CEUs. Simply select the yes option below the product in the shopping cart to add the $15 processing fee for CEUs for California MFTs and LCSWs. If you prefer to register by phone, please call us at 818-782-6869. I’m confident that when you do the Business Building Level 2 of the Develop Your Business Intuition Program, you’re going to start transforming your Business and your Life. I also know that if you follow the steps and do the work, you’ll be able to use the tools to increase your business opportunities and vibrationally matched clients, while feeling more ease and flow. Just to back that up, I’m offering a no questions asked guarantee. If, before the 2nd class, you are not satisfied with the program you can request a full refund. 100%! No reason needed. Just call us at 818-782-6869. I am taking the risk so you don’t have to. You could do nothing and things will probably remain the same. Or you can try to learn to systemize what you do on your own, connect with your ideal clients the way you already have been doing, have the conversations with prospective clients the same way and see what happens. In my experience, when you take direct action toward learning these new strategies and skills and begin by connecting to Source energy for every part of your business, miracles start to happen. It is so much easier with someone who has been where you are and already developed and mastered these techniques. You will learn how to create a system from your services or products so your people feel you understand their problems and have solutions for them. Then it’s easy to use our template on Heart-Centered Converting Conversation Guide so your people are excited to work with you or buy your products; you feel really elated in having these dialogues. Finally, you will learn List Building and Joint Venture strategies so you have more people to share your services and products with now. How is this class different from other classes about Business Building? It is much easier to make changes in your life when led by mentors who have walked this road themselves. I know what it is to hit rock bottom financially and then create a lucrative holistic business I love. You will experience these systems while being connected to Source energy and your Soul as well as your intuition. When these all come together, that’s when Magic happens! Can I really increase my business and my ideal clients in only 12 weeks? Although it is different for each person, this is really giving you tools you will use in an on-going way. Our real focus is to teach you strategies and tools that you can use regularly to increase your clients whenever you want and to the degree you desire. This takes the training of magnetic attraction to another whole level. Much of your success does depend upon your motivation and drive to succeed, the time you commit to effectively focus on your business and the degree you use the tools to let go of any issues preventing your success. The timing is different for everyone, but trust that your business expansion will unfold at a pace that is perfect for you. Yes, I Want to Be One of the First 11 People! Helaine empowers heart-centered spiritualpreneurs to transform their life and business so it reflects their authentic self and their values. 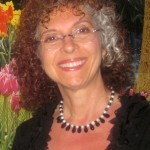 She focuses on assisting clients to magnetize love, abundance and the right clients or job to them while connecting to Spirit. 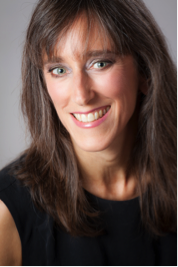 Helaine is the founder of An Awakening Center™, which blends over 45 traditional and alternative modalities to assist clients in fulfilling their life’s purpose and vision. Her award-winning book Are You in Love with a Vampire? Healing the Relationship Drain Game is about the energy dynamics in relationships and how to create more fulfilling relationships, both at work and at home. 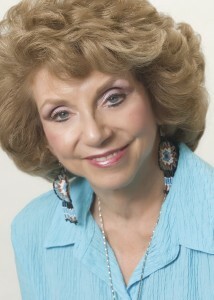 With her 34 years experience and mastery of energy, Helaine has helped thousands of clients release sabotaging issues, awaken their potential and manifest it in their daily lives, both at work and at home. I am so looking forward to teaching you these business building strategies and tools so you have all the clients you want, whenever you want. This is part of living your life’s purpose, bringing out your gifts and message to the world, while using magnetic attraction to manifest your vision in your life. You will partner with your Intuition and Spirit to increase your business and abundance, while awakening the Authentic You! This is your time! Break Free of the old shackles to allow your gifts and message to emerge. Let your Spirit Soar with your Business! P.S. Remember, the three extra BONUSES WORTH $1700 or $2200 if paid in full are only available to the first 11 people who register! This includes 1 hour of personal coaching with Helaine. Yes, Helaine! I Want to Be One of the First 11! P.P.S. If you are interested and resonate with this Business Building Part 2 of the Develop Your Business Intuition Online Program, but something is holding you back, then apply for a free 45-minute Breakthrough Session. I only have space for 5 people for this one, so act now to secure your spot. I have learned the key concepts on how to connect and partner more with Spirit and Inner Guides as well as significant tools to activate the kinds of things I want everyday! …I can plan and follow up, stay centered, take care of “first things first” and direct myself towards positive changes and make my business grow! I am now able to plan not only my day, but how I choose to live and work every day, and I choose to have joy and be of service! Helaine, you go above and beyond your call of duty. (I gained) insight to myself and what I can give to clients. Kerry Leigh, Actualize Your Health! In a three-month period of time working with Helaine, I tripled my income. I didn’t think it could be done. All I had to do was make two important changes. … I felt that I was getting much more on a personal basis to open myself for whatever the future holds for me. Through the activities we experienced, I felt a great release of anger I had been holding onto for many years. You will enjoy and greatly benefit from the prosperity seminar. This will teach you the energetic foundations behind prosperity, and from different dimensions. In fact, it teaches the energetic underpinnings of life. You will learn how … to rid your energetic field of emotions that bother you – in fact may have bothered you most of your life. Helaine has a direct connection to the universe. She has amazing insight and energy, which results in connecting deeper within yourself and the world around you. Her methods and techniques as a teacher/coach go beyond anything I’ve ever experienced. The results last!